It is the custom of the Company that the final social engagement of a Master’s year will be his or her “At Home”, with Masters choosing a venue with which they have special connections. 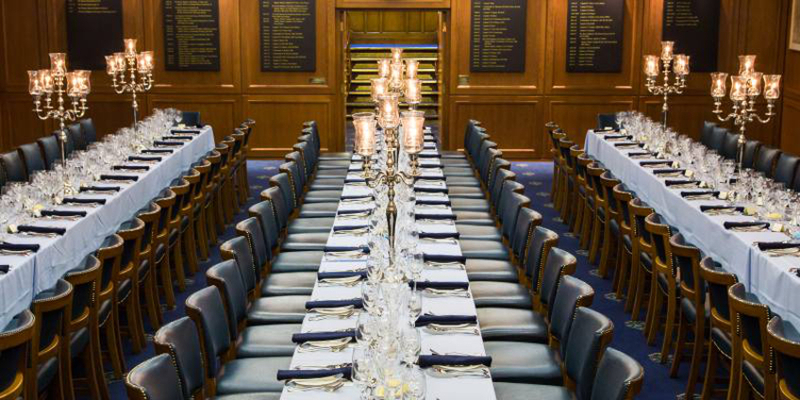 Continuing a nautical theme which included an Election Banquet with 2 First Sea Lords, Mark Hardy chose HQS Wellington, which doubles as the Livery Hall of the Worshipful Company of Master Mariners. On 1st October, Mark and Mary welcomed members and guests who were extremely fortunate to be able to party on deck in very clement weather. The views of The Cities of London and Westminster and of the South Bank through dusk, sunset and at night were spectacular, and many went to the upper deck more than once to view changed scenery.